There’s nothing like a little support from the home team. As I have written in earlier posts, I first started writing my novel “The Mayonnaise Murders” 20 years ago. I had to put it down after about a year due to various life circumstances, primarily going out on strike against my former employer the Detroit Newspapers. As anyone who has ever been on strike can tell you, a strike can make a few changes in your life, especially when it lasts for five years. Anyway, I didn’t pick up my manuscript again until several years ago, determined to finish all the projects I had started before beginning anything new. Early this year I finally finished my book and was thrilled. Then came the process of marketing and promoting my book and that has been, well, let’s just say challenging. I don’t regret for one minute my decision to self-publish, but I will say for certain that I had no idea how difficult this was going to be. The great thing about self-publishing is that authors exercise considerably more control over their own work, and get to keep a lot more of the profits – if you’re fortunate enough to actually make that profit. The overwhelming majority – as in more than 90 percent – of self-published authors are doing good if they sell 100 books. That’s not many, in case you were wondering. The point being that this has truly been a learning experience – and a lot of work. And a lot of work. And a lot of work. So when I received notice a month or so ago from Tattered Cover, my hometown bookstore in Denver, Colorado, that they were interested in carrying my book on their shelves I was thrilled, and that’s putting it mildly. Since then I have signed my 90-day consignment agreement and I just received notice today that my book is now on the shelf at all three Tattered Cover locations. The feeling is, well, just hard to describe. 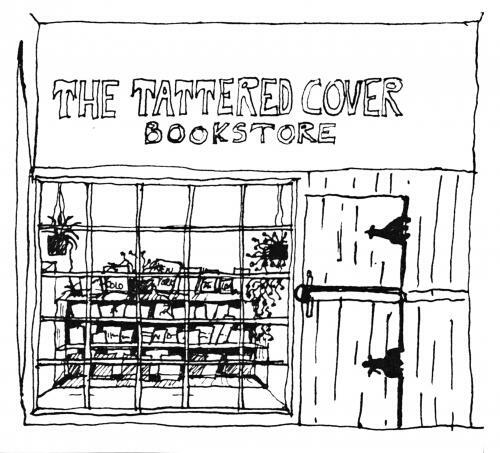 I’ve wanted to be an author all my life, and Tattered Cover is the bookstore of my childhood. And now people can actually buy my book there. There’s nothing like a little love and support from the home team. Nothing like it.